Raymond Electromatic is good at his job, the lone employee of the Electromatic Detective Agency--except for Ada, office gal and super-computer, the constant voice in Ray's inner ear. Ray might have taken up a new line of work, but money is money, after all, and he was programmed to make a profit. Besides, with his twenty-four-hour memory-tape limits, he sure can keep a secret. 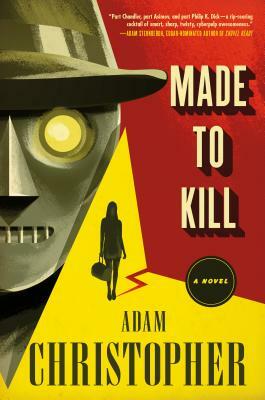 ADAM CHRISTOPHER is a novelist and comic writer. In 2010, as an editor, Christopher won a Sir Julius Vogel award, New Zealand's highest science fiction honor. In 2013, he was nominated for the Sir Julius Vogel award for Best New Talent, with Empire State shortlisted for Best Novel. His other novels include The Age Atomic and The Burning Dark.